Ever fancied working on an event at the Ends of the Earth? 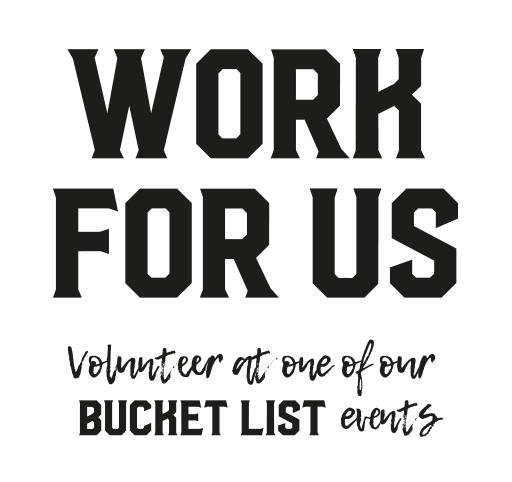 We have limited spaces for Volunteers to come and experience these sensational Bucket List events from the coalface with our volunteer programme. We have spaces for volunteering within our event team at these events. Tasks include assistance at our overnight camps, inside the race team and behind the scenes on logistics and customer services in-country at the events. For those intrepid enough to take up the challenge you will be rewarded with the same mementos as the participants, plus accommodation and food whilst on the trip. Just get yourself to and back from the specified international airport in the host country and we will look after you during the trip. Please note: we have had a lot of interest for our Bucket List Series so may not be able to get back to unsuccessful applicants. Let us know which of our Bucket List events you’re interested in.